I’m a huge believer that the little things really matter. I always shake my head when I hear people talk about how the little things don’t really matter (don't sweat the small stuff...) and as long as you focus on big items you will be successful. Success, obviously, is something that is interpreted differently by everyone. Most people have their own definition of what success is and means to them. To me, hockey is all about the little things. I break down big things and into very small actions that when put together create successful big things. For example, saying that you want to be good in the defensive zone or strong on faceoffs is all fine and dandy, but in order to truly be successful in these areas, you have to do a lot of little things right consistently. Focus and master the details and then you will be truly successful. If we use the example of being strong on faceoffs, there is a lot more that goes into it then just a center trying to win the puck back. Centers: Before they even go into the faceoff circle they need to have some sort of communication with their teammates to ensure everyone is on the same page. Then they need to look at the opposing center and try to take into account what they are going to try and do to win the draw...are they going back? are they going to try and walk? are they just trying to tie up…? After that it’s about getting low and creating a wide, powerful, base. 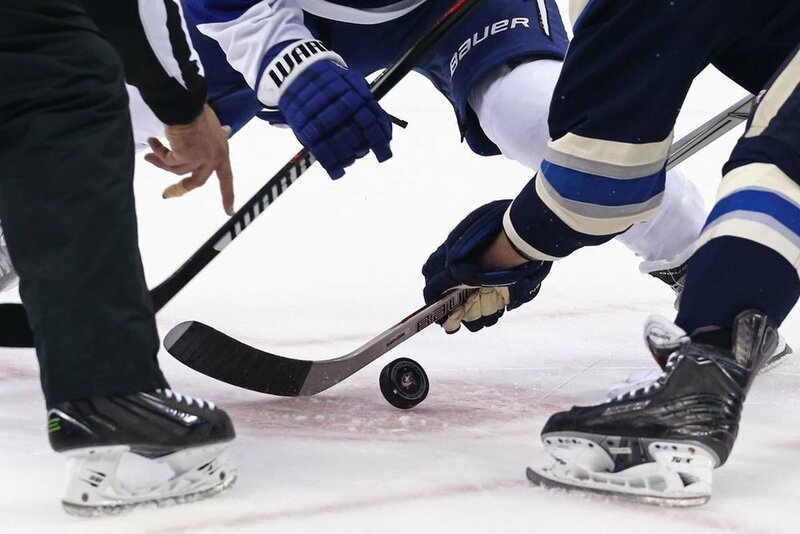 Finally, you have to find the puck in the referee's hand and try to anticipate the drop and first movement as best as possible. Once the puck is dropped, the center then needs to worry about tying up his man and finding the puck. All of those little things… and that’s just for the center! That doesn’t even cover the wings jobs and creating time for their defensemen and supporting through the middle to help control and win the puck. The higher you go in hockey the more these little things, like faceoffs, truly come into play. Teams that stress the little things and do them well are consistently the most successful in my opinion. As a coach, I get asked all the time about what separates players from one and another and why do certain guys get used in key situations? The answer for me is always simple and comes down to two things: consistency and the little things. We’ve talked before about the importance of consistency, but really consistency and doing the little things well work hand in hand together. If you want to keep growing and developing as a player, become a student of the game. Understand what you need to do in every situation and focus on truly becoming a complete player. You may not always get all the spotlight and credit, but the role of these players is truly invaluable. My advice for the best way for players to learn is to watch and ask questions. Watch the things that great players do. Watch how they make the game slow down and make plays look so simple. Watch what they do on faceoffs and how they use their stick or their body to their advantage. Also, don’t be afraid to ask questions. Whether it’s a coach or a veteran player, don’t be afraid to ask questions. I remember when I was a freshmen in college and was pretty intimidated by some of the upper classmen who had been around for a few years. I slowly but surely started asking questions and soon found out that true great leaders not only were eager to share their experiences and knowledge but also appreciated and came to respect me for wanting to learn from them. Some of the best tricks I ever learned about the game came from veteran teammates, not coaches. Become a sponge and absorb as much knowledge about the game as possible. This will help you understand the game on a deeper level and really be able to focus on those little things. Remember, the players and teams that take pride in the little things, and make a point to do all the little things well, win the most hockey games. If you look at your own game, do you focus on the little things?